Create custom printed greetings with Strathmore 400 Series Printmaking Cards! 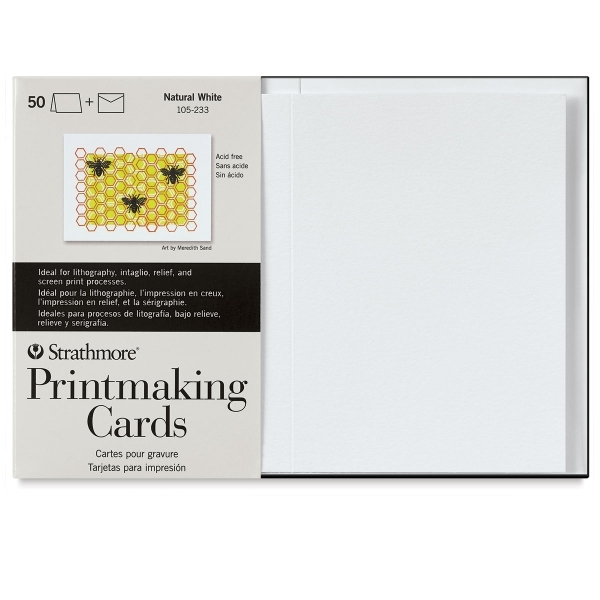 Made from Strathmore's 400 Series printmaking paper, the medium-texture surface of these heavyweight (280 gsm) cards is soft, durable, and can absorb large quantities of ink. ® Strathmore is a registered trademark.® Gelli Arts is a registered trademark.